Semnox has made its debut in the Slovakian gaming arena with its successful implementation at Top Fun, Eurovea. 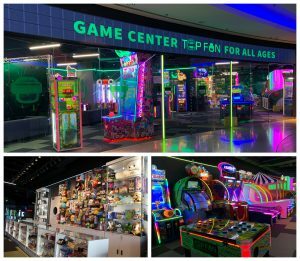 A complete family entertainment center with around 90 arcade machines, Top Fun is a great place for the young and old alike. 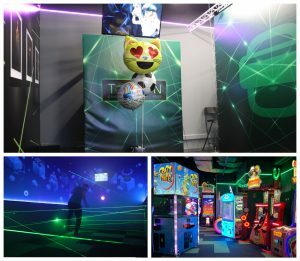 The center features a virtual reality section, laser labyrinth, arcade games, and a party room. 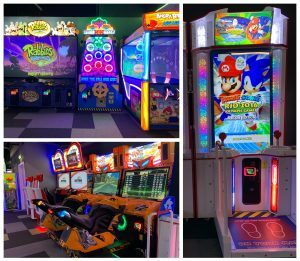 Semnox Lumin readers have been installed on all the arcade game machines to facilitate quick and easy operations as well as card validation and balance deduction. With its wireless capability and fully customizable options, the Lumin reader functions on the “tap-to-play” technology. The virtual reality (VR) zone at this Top Fun location now also features the Semnox standalone card readers. Apart from these, the Eurovea location has opted for the Parafait self-service kiosk that cuts down on manual effort by helping guests purchase RFID cards, check the balance, and recharge their cards. The mobile handheld Point-of-Sale (POS) devices that can be carried around the facility by staff to enable cashless issue and recharging of cards are yet another Semnox innovation that Top Fun has chosen. Semnox has also accomplished the process of fiscal printer integration for Slovakia region in accordance with local tax laws and standards. “Semnox is privileged to be part of Top Fun business journey. The involvement & clarity that Mr.Branislav Vojtyla brings on table is commendable. The Top Fun team has shown extreme interest & acceptance in adopting the new system. The center is setting an example in its region on acceptance of cashless technology operations.” Says Umesh Prabhu, Director, Semnox. With the reporting system introduced by Semnox, Top Fun is now able to minutely track and detail activities at the center. This has helped the management team analyze the performance of the center while simultaneously having full control over all operations. Top Fun has also chosen to introduce the multi-screen redemption management module for end-to-end operations. This enables a single staff member to serve up to six customers at a time. It is also possible to pause an individual redemption process giving the guest time to make choices and serve another guest in the meantime. Next on the agenda is a similar installation at Top Fun’s Bori Mall location. Semnox Solutions Private Limited (https://www.semnox.com/) provides technology and creative solutions for the entertainment and amusement industry. Semnox’s Parafait suite of products is operational at over 1,400 sites spread across 40 plus countries.